A neighbourhood plan, (also known as a neighbourhood development plan) is a new way of enabling local communities to determine the future of the area they live and work in. 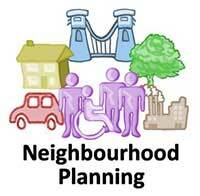 It is the opportunity for local communities to take planning into their own hands for their local area. The Neighbourhood Plan, once finalised and adopted by the Borough Council, will become the starting point for determining planning applications in that area.